The ŠKODA KODIAQ SPORTLINE is the top of the range mid-seized seven-seat SUV. Combines 4x4 capabilities, impressive state-of the- art driver assistance systems, innovative safety technology and extraordinary comfort and space, making it an ideal companion for families. 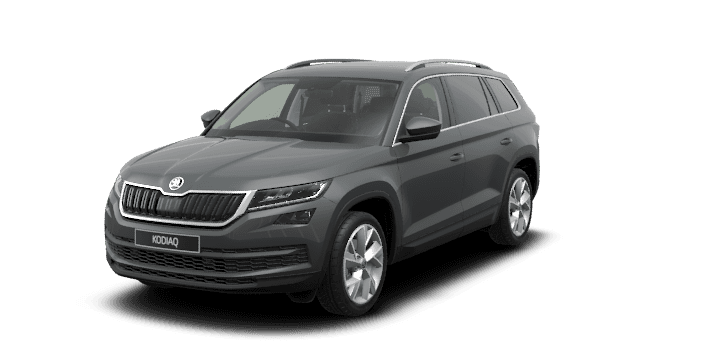 And as in all ŠKODA vehicles, each Simply Clever feature is there to make life easier and put the KODIAQ SPORTLINE in a class of its own. With the new seven-seat KODIAQ SPORTLINE, not only can seven people ride around in maximum comfort, you also have 270 litres of luggage space, 630 litres with the third row seats folded and 2,005 litres with second and third row folded. Everyone’s in their comfort zone in the KODIAQ SPORTLINE. Three-zone Climatronic air-conditioning** available with the optional Luxury Pack, allows the driver, front passenger and rear passengers to set their own preferred temperature independently. At the same time, an enhanced air filtration system improves cabin air quality, reducing dust and pollen. Magic happens in the KODIAQ SPORTLINE. The new Virtual Pedal** available with the optional Luxury Pack lets you open the boot simply by kicking your foot underneath the rear bumper—convenient for when your hands are tied with loads of shopping. A vehicle that knows how you like to sit. For added convenience, the new KODIAQ SPORTLINE has electrically-adjustable front seat with memory function. Memory function stores three separate positions of the seat and external mirrors. Available with Luxury Pack. You’re never in the dark in the KODIAQ SPORTLINE. Experience ultimate comfort thanks to the interior lights, and enjoy a discreetly lit ambience that makes every journey peaceful. The new KODIAQ SPORTLINE sees things you don’t. Side Assist (Blind Spot Detection)**+ available with the optional Luxury Pack helps you change lanes safely by letting you know when a vehicle is in your blind spot. If so, an LED symbol in the side mirror will light up, and start flashing once you indicate. **Available in optional Luxury Pack. The new KODIAQ SPORTLINE can anticipate a collision. Now that’s Simply Clever. Passenger Protect Assist uses information from the car’s braking and electronic system to ready for impact when there is a high chance of collision. In such an event, the front seat belts will tighten and the sunroof (if equipped) and windows will close to keep you in the best position for airbag deployment. We hope you never need the nine airbags that come standard in every KODIAQ SPORTLINE. Located at the front, front side, rear side, curtain, and driver's knee area, they help protect you and your loved ones in the event of a collision. The new KODIAQ SPORTLINE will light up your life. The LED headlamps offer high-performance and high-energy efficiency. The AFS (Adaptive Frontlight System) adjusts the lighting intensity to specific conditions (e.g. city, motorway or driving in the rain). When in poor light, the LED fog lamps can come to the rescue, helping ensure your safety. The new KODIAQ SPORTLINE always has your back. When you’re reversing, Rear Traffic Alert**+ available with the optional Luxury Pack recognises vehicles approaching from the sides and alerts you with an acoustic signal. If necessary, the brakes are automatically applied to help prevent any collision. You’re always in control in the new KODIAQ SPORTLINE. Electronic Stability Control (ESC) helps you maintain control of the car if it begins skidding, using ABS (Anti-lock Braking System) and ASR (Anti-Slip Regulation) to prevent slipping or locking the wheels. Smartphones get along famously with smart cars. SmartLink^^ Smartphone Connectivity with Apple Carplay® & Android Auto™ seamlessly connects your smartphone to your KODIAQ SPORTLINE, mirroring your phone's display on the internal screen. So, whether you want to listen to music or receive turn-by-turn directions, you can do it all without touching your phone. ^^SmartLink is compatible for selected apps with the latest smartphone versions of iOS and Android, active data service, and connection cable (sold separately). Just when you thought cruise control couldn’t get any smarter, along comes the new KODIAQ SPORTLINE. Adaptive Cruise Control (ACC)+ features a radar sensor on the front grille, allowing it to automatically brake and accelerate to a speed and distance set by you - ensuring a safe buffer between you and the car in front. Audiophiles wanted. With ten speakers – including one in the dashboard – and a subwoofer in the luggage compartment, the Canton Sound System makes the KODIAQ SPORTLINE’s audio experience as awesome as its drive. The total power output is 575 W. Available in Tech Pack. Everything is at your fingertips in the new KODIAQ SPORTLINE. The Columbus 3D navigation system features easy-to-use touch controls on an 9.2” glass display. The device offers many functions including Bluetooth, SmartLink^^ vehicle set up and much more. Always stay relaxed, even when in a jam. Traffic Jam Assist**+ available with the optional Luxury Pack is designed to keep you calm in traffic jams. By controlling the engine, brakes and steering, it makes the vehicle firstly pull away, then brake and turn - allowing you to enjoy spending time in the KODIAQ SPORTLINE at all times. As you get to know your new KODIAQ SPORTLINE, it gets to know you too. Adaptive Chassis Control** continuously evaluates and responds to various driving situations, adapting to decreases in speed and varying steering characteristics across five driving modes (Normal, Sport, Eco, Comfort and Individual). The new KODIAQ SPORTLINE has a mode for all conditions. With the intelligent Off-Road Mode system, which operates at speeds of up to 30 km/h, you can handle challenging terrains. It is designed to adjust the characteristics of the engine, electronic assistants and stability control systems. Available with the optional Tech Pack. A car that gets the door for you? Now that’s service. Standard in the KODIAQ SPORTLINE range is KESSY (Keyless Entry, Start and Exit System). It allows the driver to lock and unlock the car, and start and stop the engine, without having to insert or even handle the key. A little assistance with parking is always a good thing. The parking sensors assist the driver with parking and work in conjunction with all of the infotainment systems available for the new KODIAQ SPORTLINE. The KODIAQ SPORTLINE is available in a 132kW turbocharged TSI Petrol engine and guarantees outstanding dynamism, high performance and is exceptionally quiet running. The new KODIAQ SPORTLINE is More x More. The 4x4 drive is provided by an inter-axle electronically-controlled multi-plate clutch. The coupling of the rear axle is automatic, so under normal conditions the car can utilise the advantages of front-wheel drive, and under extreme conditions, the excellent traction of the 4x4 drive. *Manufacturer's recommended driveaway price (MRDP) is an estimated price which includes the recommended retail price, 12 months private registration, 12 months compulsory third party insurance (CTP), an estimated dealer delivery charge, stamp duty, options entered during the configuration process, and other applicable statutory charges. The MRDP is based on a vehicle garaged in the postcode entered and on the owner being a 'rating one' driver aged 40 with a good driving history. Actual prices will vary between locations and dealers, and on-road costs will vary according to individual circumstances. Options and metallic paint may be available for an additional cost. Please see your local ŠKODA Dealer to confirm your individual price. 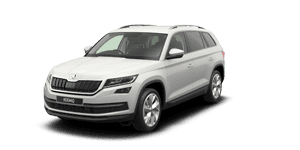 The above pricing does not take into account any current applicable campaign/promotion; for information regarding any current campaign, please contact your local ŠKODA Dealer. ^5 Year/Unlimited Kilometre Warranty is available with private, general fleet and government vehicles only. Excludes rental vehicles, hire cars, taxis, courier vehicles, driving school vehicles, security vehicles, bus and tour vehicles which are subject to a 5 Year/150,000 Kilometre Warranty (whichever occurs first). Warranties are provided in addition to, and in some cases overlap with, consumer guarantees under Australian Consumer Law and do not limit or replace them. Click here for 5 Year Warranty terms and Conditions.